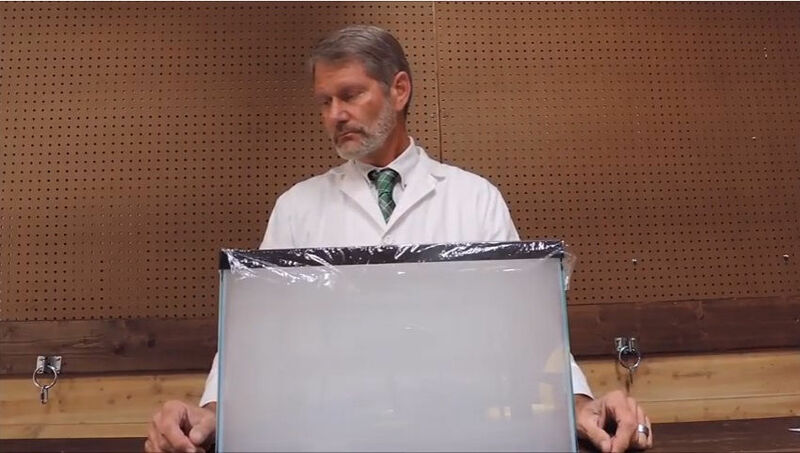 Dr. Robert Cranfield, a family medicine doctor in Madison, Tennessee, recently conducted a very simple experiment to show the difference in formaldehyde content between electronic cigarette vapor, cigarette smoke and cigar smoke. Keep in mind that this does not qualify as a scientific experiment, but as a simple test that anyone can do to get an idea of how much safer vaping is in relation to smoking, when it comes to exposure to formaldehyde. In the beginning of his video experiment, Dr. Cranfield mentions a “study” published last year in the New England Journal of Medicine, which claimed to have found “hidden formaldehyde” in e-cigarette vapor, and not just traces of it, but 15 times more than what they had measured in tobacco smoke. Its findings were quickly debunked by a number of scientists who revealed serious flaws in the methodology, but not before the media machine picked it up and spun it to strike fear in the hearts of e-cigarette users and smokers thinking about making the switch to vaping. It was revealed that the research wasn’t actually a peer-reviewed study, but a letter sent to the editors of the New England Journal of Medicine that ended up being published in the prestigious medical publication. 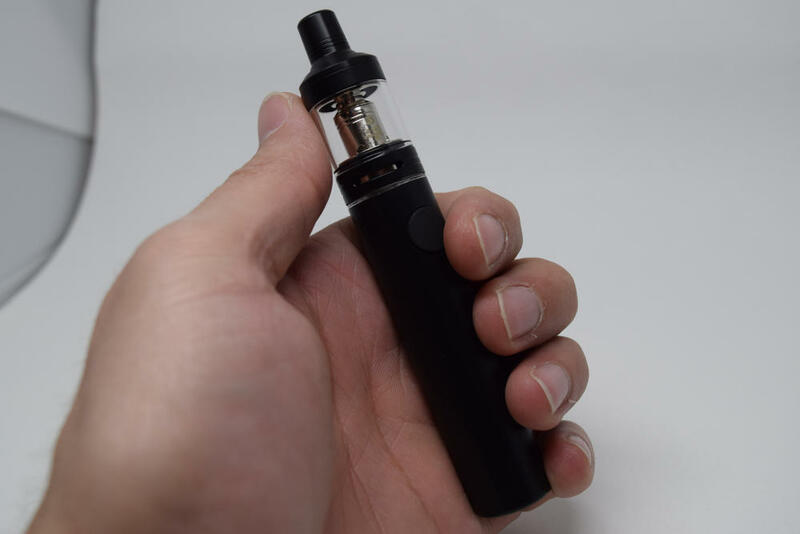 Dr. Farsalinos quickly pointed out that co-author James F. Pankow, professor of chemistry and engineering at Portland State University in Oregon, and his team had used a top-coil CE4 clearomizer with a 2.1Ω coil-head at two different voltages – 5 volts and 3.3 volts. At the higher voltage, researchers discovered high levels of “hidden formaldehyde”, while at the lower one, they found none of it. Dr. Cranfield adds that the “hidden formaldehyde” was so well-hidden that Pankow and his team couldn’t even find it. They were actually talking about formaldehyde releasing agents, which they acknowledge have an unknown effect on the human respiratory tract. But since formaldehyde is classified as a carcinogen, they just assumed these agents were just as bad. Despite lacking the weight of a true scientific paper, this letter got a lot of exposure, going as far as to be promoted by local health departments. 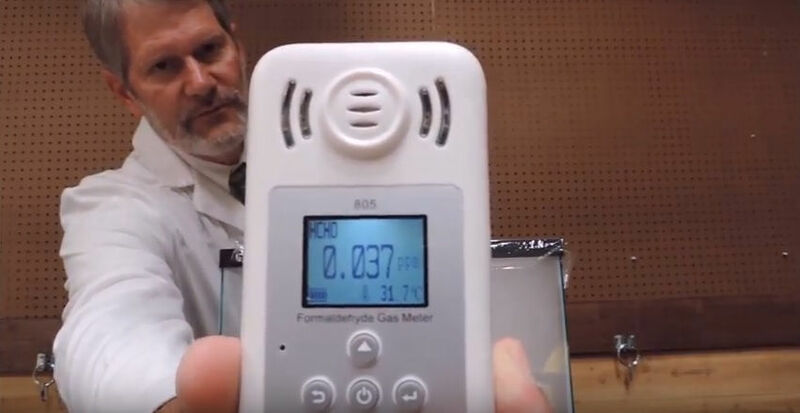 So to set the record straight on the difference between the formaldehyde content of e-cigarette vapor and tobacco smoke, Dr. Robert Cranfield decided to videotape a simple experiment that could easily be replicated by anyone in the comfort of their own home. He used a glass fish tank, a formaldehyde detector he bought from Amazon for $80, and some plastic wrap to seal the tank. 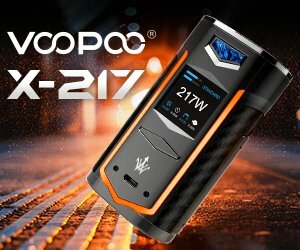 He then proceeds to place the detector in the tank, seal it off with plastic wrap and blow in five puffs worth of vapor, cigarette smoke and cigar smoke, before comparing the results. 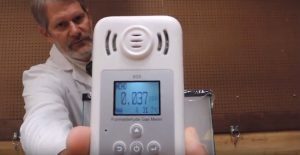 He makes sure to clarify that this is not a scientific experiment, but merely an informative one that still manages to prove that some researchers and organizations are lying through their teeth when they claim that e-cigarette vapor contains more formaldehyde than tobacco smoke, ignoring the fact that there is no combustion in vaping. 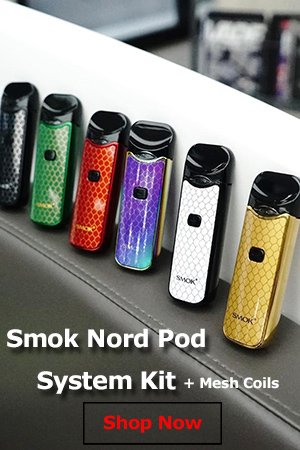 Dr. Cranfield first tests e-cigarette vapor generated using an advanced mod and tank and MAX VG e-liquid with a nicotine concentration of 3mg/ml. He chain vapes on it five times, blowing each mouth-full of vapor into the tank. 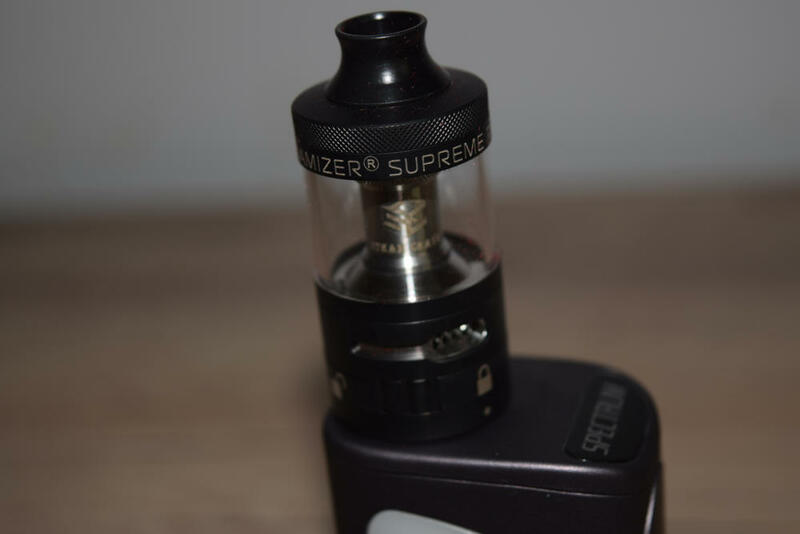 Even though a bit of vapor still manages to escape due to the rudimentary experiment setup, the glass tank still gets so foggy that you can’t even see the formaldehyde detector inside. After a few seconds, he takes out the detector, which shows a reading of just 45 part per billion. Keep in mind that the detector showed 12 parts per billion in the ambient prior to being placed in the tank, which he sets as the baseline for the whole experiment. Next, it was time to clean the tank and do the same experiment with cigarette smoke. The physician takes five short puffs on a Marlboro cigarette and blows the smoke into the tank. Interestingly, even though the tank looks much clearer this time around, by the third puff, the detector starts to beep, signaling that it is registering over 300 parts per billion worth of formaldehyde gas, and after the fourth puff, the beeping gets louder, signaling that it is reading over 500 parts per billion. After blowing all the five puffs into the tank, Dr. Cranfield leaves the detector in for a few more seconds. When he finally takes out the device, it is showing 2800 parts per billion. Finally, the experiment is reproduced a third time, using a high-end Cuban cigar. This time, the detector cannot offer an accurate reading of the formaldehyde levels simply because it only goes up to 5000 parts per billion, which it did in this last experiment. However, in terms of relative risks, cigars are considered less dangerous than tobacco cigarettes, because cigars smokers don’t usually inhale the smoke. Keep in mind that the occupational exposure limit for formaldehyde set by the Occupational Safety and Health Administration is 100 parts per billion. In this experiment, e-cigarette vapor didn’t even generate half of that level of formaldehyde, while both cigarette and cigar smoke surpassed it several times over. Even if Dr. Cranfield probably didn’t use the most accurate formaldehyde detector in the world, the massive difference between the three results is more than enough to prove that as far as this particular carcinogen is concerned, vaping is the safest option. About 480,000 Americans die from smoking-related diseases every year, and many more struggle with various health problems, from chronic lung disease to heart disease and hypertension. Dr. Cranfield concludes that even if in 20 – 30 years we find health problems associated with e-cigarette use, given what we know about smoking, the relative reduction of switching to vaping is “remarkable”.